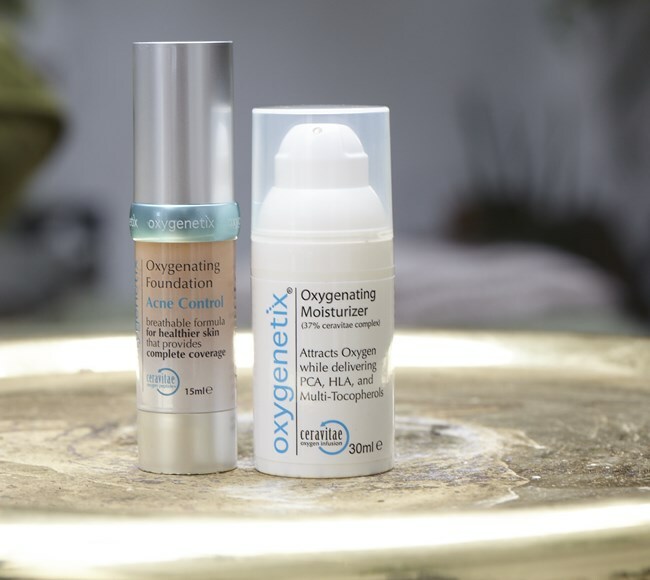 An award winning, breathable foundation containing the patented Ceravitae™ Complex, along with encapsulated 2% time released salicylic acid that helps to soothe, heal and conceal acne outbreaks, whilst stimulating new skin cell production. With the added protection of SPF30. 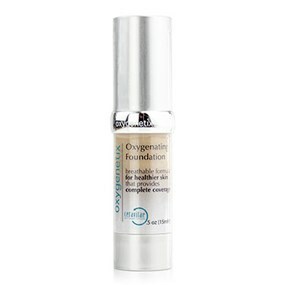 The original Oxygenating Foundation is suitable for those with acneic skins because it does not aggravate the condition and camouflages it very well. 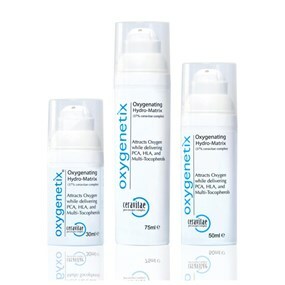 However now, Oxygenetix has a product that doctors and physicians can recommend to acne sufferers to treat and disguise the condition, with the inclusion of Salicylic Acid. An award winning, breathable foundation containing the patented Ceravitae™ Complex, along with encapsulated 2% time released salicylic acid that helps to soothe, heal and conceal acne outbreaks, whilst stimulating new skin cell production. With the added protection of SPF25. Aloe Barbadensis Gel, Isododecane, Titanium Dioxide (and) Methicone, Polyglyceryl -4 Isostearate (and) Cetyl Dimethicone Copolyol (and) Hexyl Laurate, Cyclopentasiloxane, Methicone, PEG/PPG-20/15 Dimethicone, Saccharomyces Cerevisiae (Yeast) Extract, PEG-8, Dioctyldodecyl Dodecanedioate, Iron oxides (and) Methicone, Vitis Vinifera (Grape) Seed extract, Glycerine,0-Cymen-5-OL, Silica, Cyclomethicone and Disteardimonium Hectorite (and) Propylene Carbonate, Maris Sal, Dmimethicone/Vinyl Dimethicone, Crosspolymer. 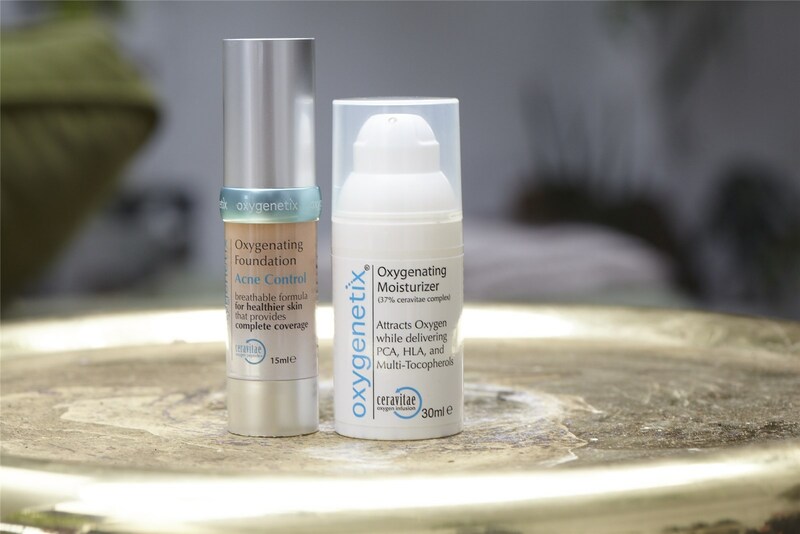 Anyone suffering with acne who wants to ‘Clear & Conceal’ the condition is the ideal candidate for Oxygenating Acne Control Foundation. 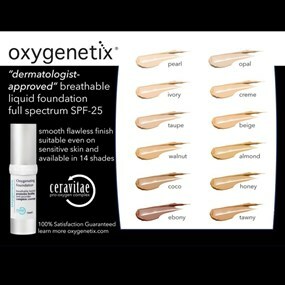 The product should only be used until the acne has cleared, then the original Oxygenating Foundation should be applied, as this does not cause a resurgence of the acne. Before use cleanse skin thoroughly and pat dry. Apply by covering the entire affected area with one application only if needed you can gradually increase to 2 or 3 times daily or as directed by a doctor. If bothersome dryness or peeling occurs, then reduce the frequency of application.